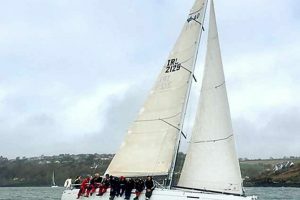 It has been far from spring like conditions for the strong fleet competing in the longstanding Kinsale Yacht Club annual Spring league. The Spring Series (aka April League) is very kindly sponsored this year by Mathews Helly Hansen. The first day of racing was on Sunday 8th April. A light 8/10kts of breeze from the SE coupled with a lumpy sea and continuous rain made for a damp and cold race in the outer harbour area using the various club laid marks for all fleets. A strong 20/25knts SSW breeze blew in for the second day (Sunday 15th April) of the Spring Series. A nice big rolly sea added to the challenge for all competitor’s. Wisely the PRO started the two races from the comfort of the Charles Fort club starting area and sent the fleet outside around the club laid marks. Only a few brave yachts flew spinnakers early in the day but the breeze decreased slowly throughout the day and there were plenty of spinnakers (those that were still intact!) when the fleet came into Kinsale on the last leg of race three of the series. 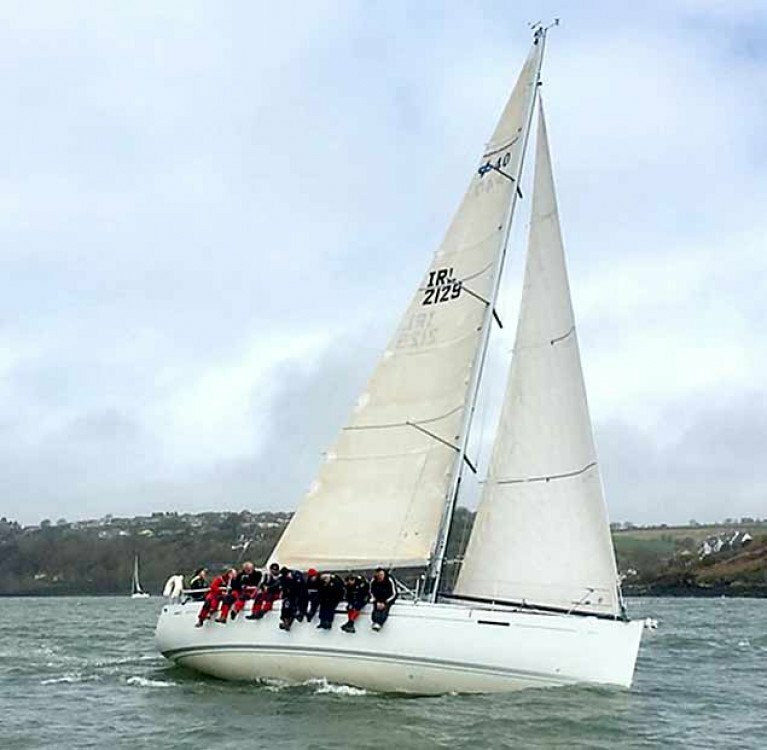 Denis and AnnMarie Murphy’s Grand Soleil 40 ‘Nieulargo’ from the Royal Cork YC won both races in Class 1. Shane Stratham’s evergreen GK 34 ‘Slack Alice’ from Dunmore East put in a top performance in Class Two. Matt Hellstern’s (KYC) new arrival J/24 ‘Headcase’ proved to be the fleet leader in Class Three. In White Sail KYC boats ‘Paragon ‘and ‘Privateer’ won a race each. Please note that Race four First Gun will be at the earlier time of 10.55hrs on next Sunday 22nd with two races planned.